"Tart Beef Flavor" sounds a little bit disgusting but I was willing to try it nonetheless. I'm guessing this is supposed to approximate a Chinese dish made with some sort of tart vegetable. 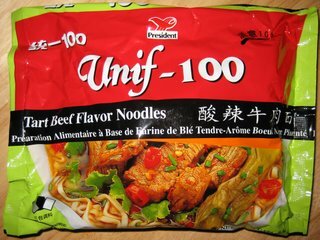 I have had decent success with Unif-100 noodles in the past, so I was more than willing to give this one a shot despite the strange flavor. The first thing that surprised me was the spiciness of these noodles. In fact, the first sip that I took of the broth nearly sent me into a coughing fit! 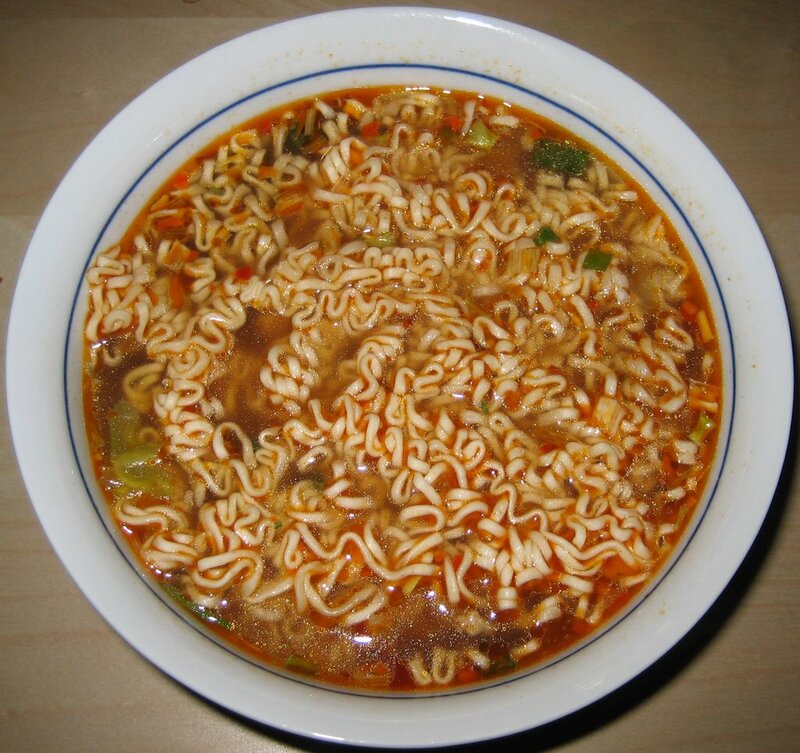 These noodles pack an intense spicy punch! The next thing that surprised me was the large amount of cabbage, scallions and red peppers. It's amazing how large the dehydrated cabbage can plump up in the broth and I really wonder why more ramen manufacturers don't add some in. The flavor of the broth was complex and unique yet satisfying. The tartness reminded me a little bit of hot and sour soup. It is done in such a way where it doesn't become overly cloying or obnoxious on the tongue. 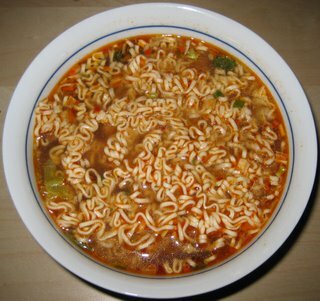 Rather, it balances with the spiciness so that the overall flavor is very unique and addictive. I rather liked these noodles but can't really see myself buying them again. 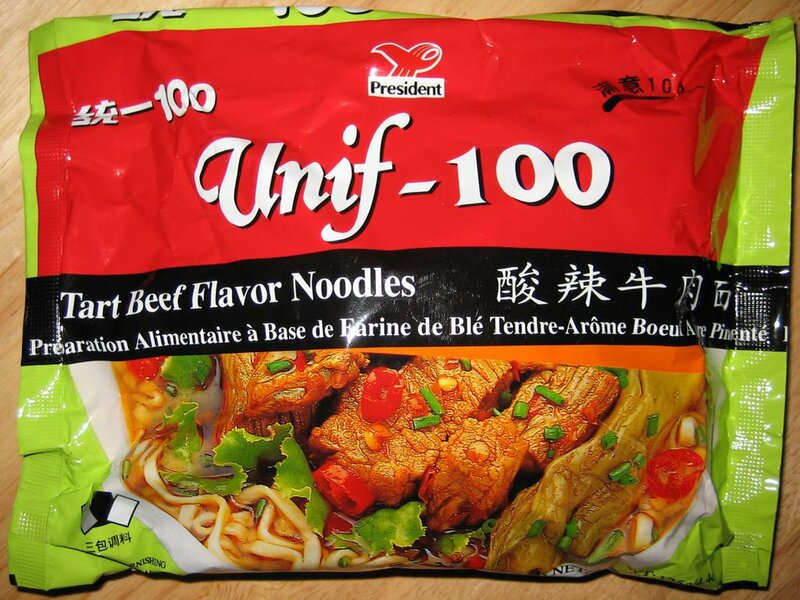 It's just difficult to develop a craving for such a nuanced flavor when there are simpler things to lust after like beef flavor and hot and spicy. Anyhow, I certainly don't regret getting these and would recommend them to someone looking for a change of pace. 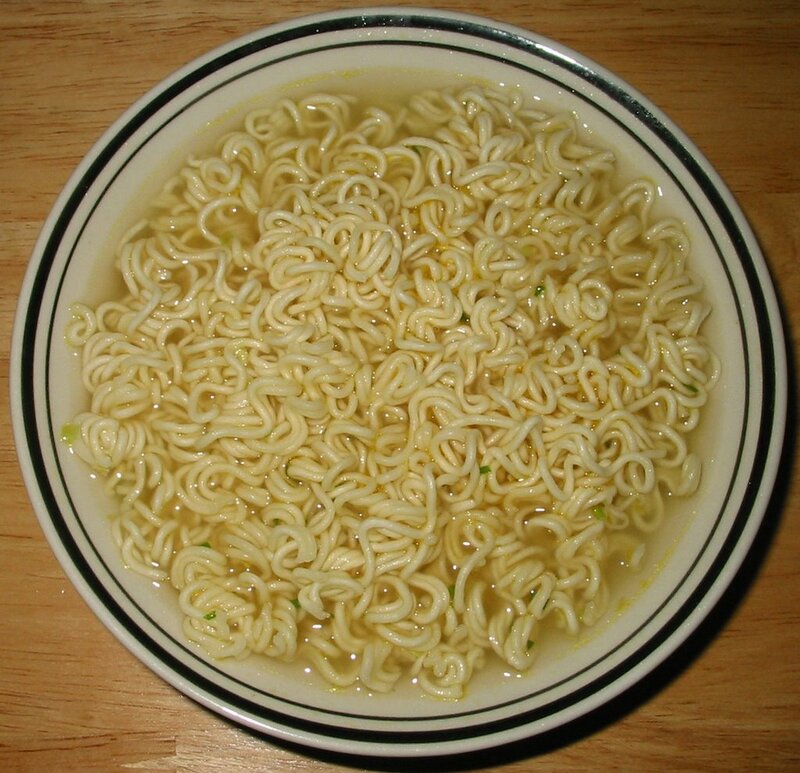 I am very familar with Nissin Demae ramen noodles, having often eaten them while growing up. The most popular flavors are probably the beef, chicken, and the spicy flavors. All the Nissin Demae noodles come with the same ramen brick but with different flavoring packets to differentiate them. Some even have a flavored oil packet. 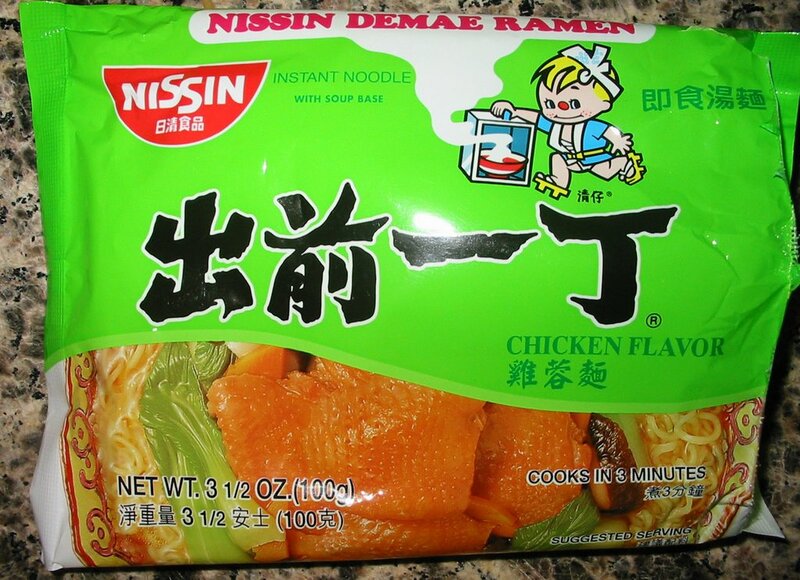 The Nissin Demae noodles are a little crispy and have a nice nutty flavor to them. The broth, as you might expect, tastes like chicken broth. The flavor of these noodles is a little bit weak, so the dish lends itself nicely to a healthy addition of Sriracha sauce. 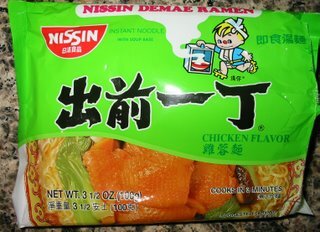 The Nissin Demae chicken flavor is a nice basic ramen. The noodles themselves are quite delicious and the chicken broth is conservative yet hearty. With some Sriracha sauce, these noodles can be a good, satisfying meal.